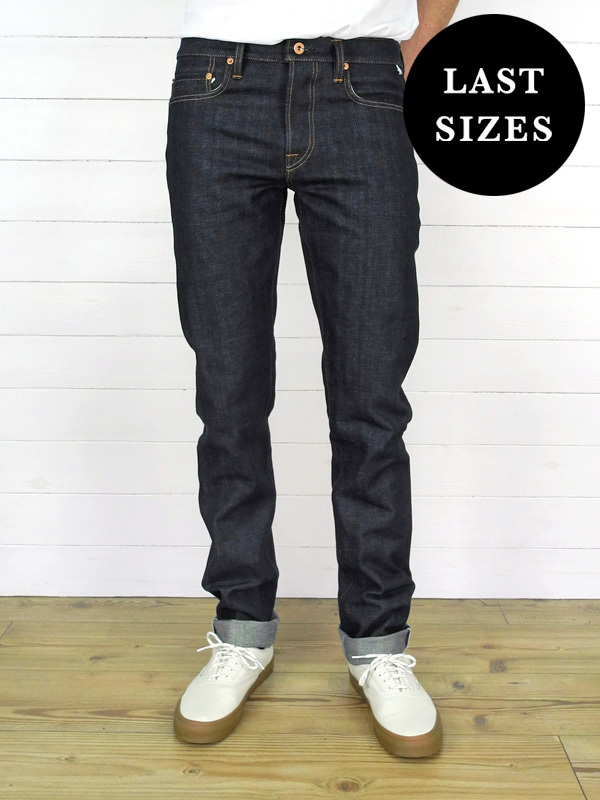 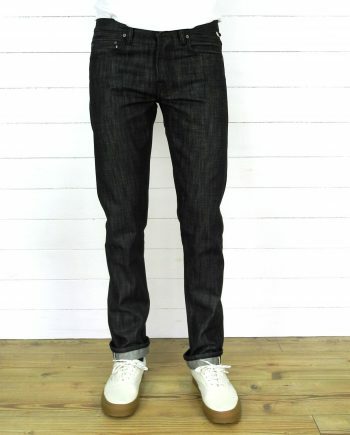 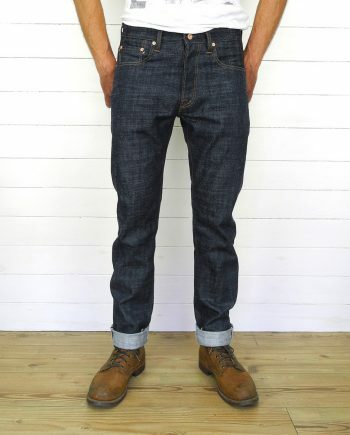 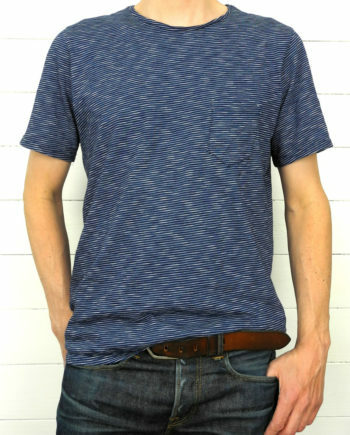 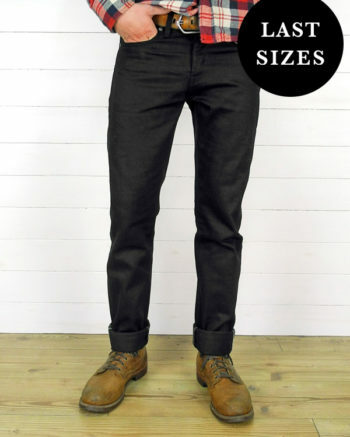 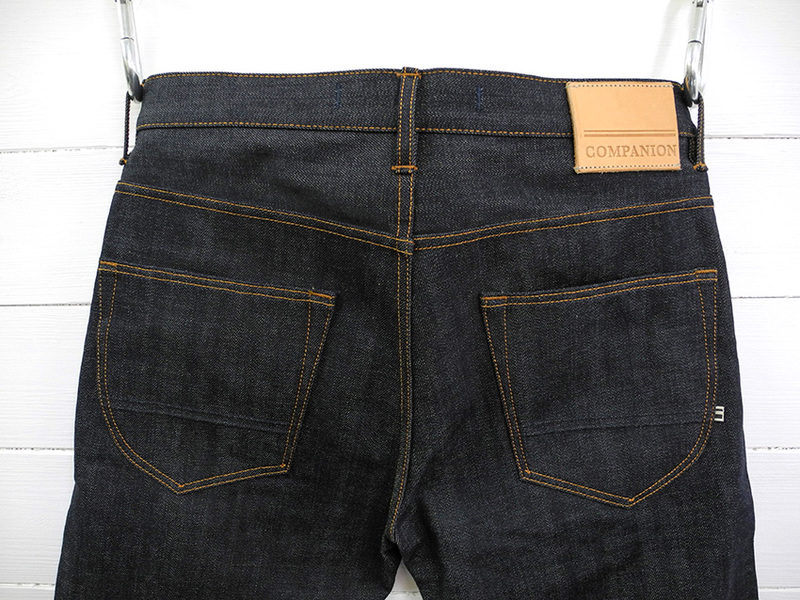 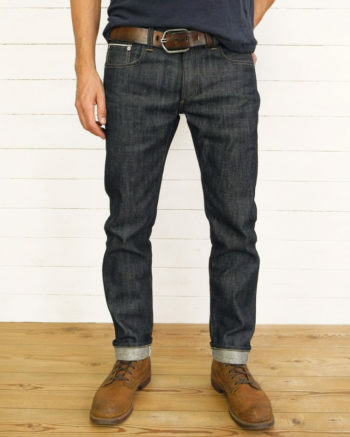 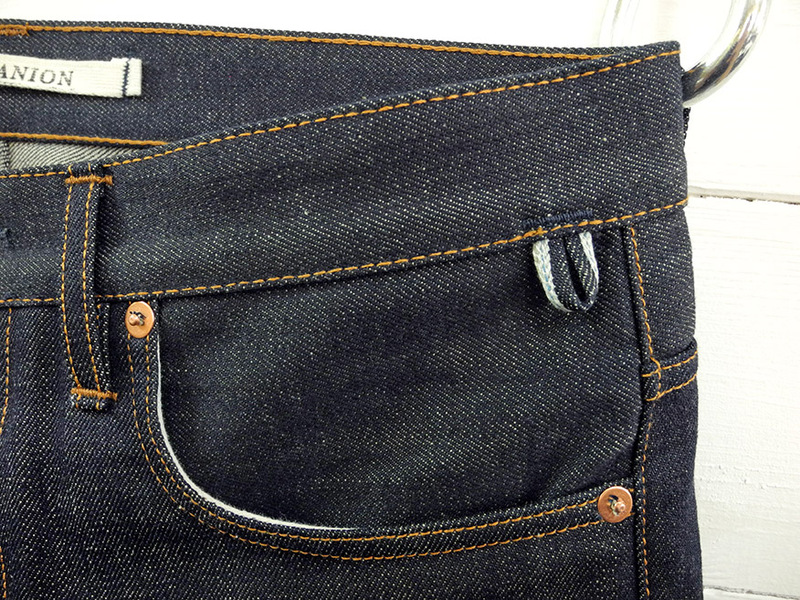 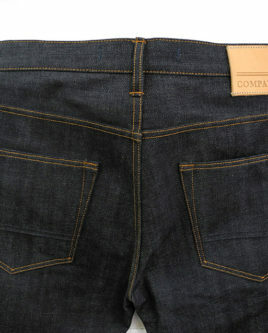 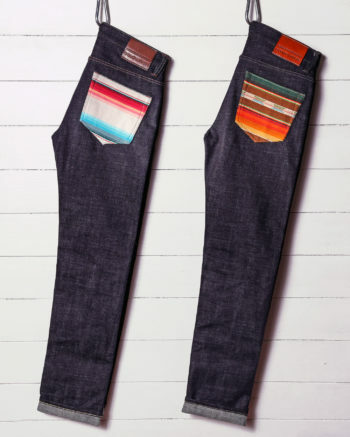 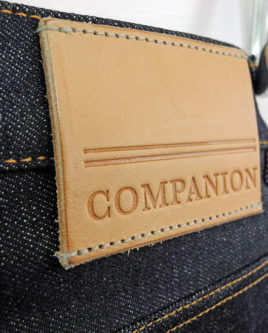 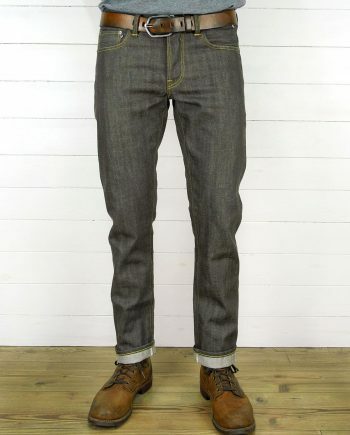 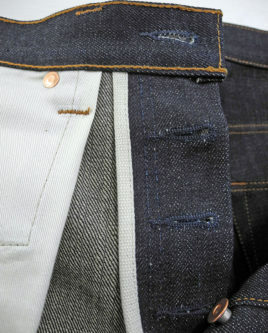 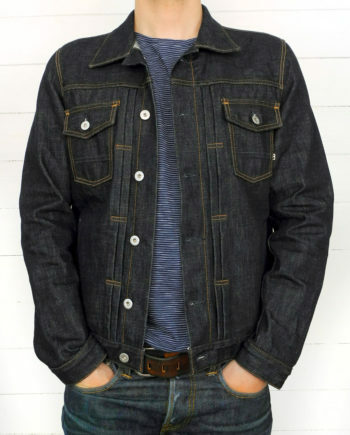 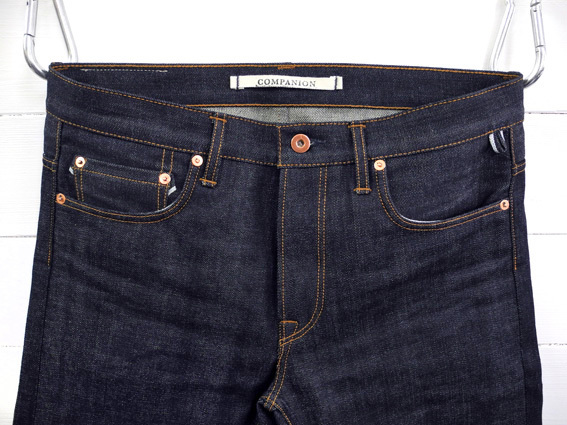 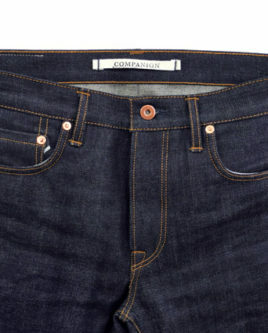 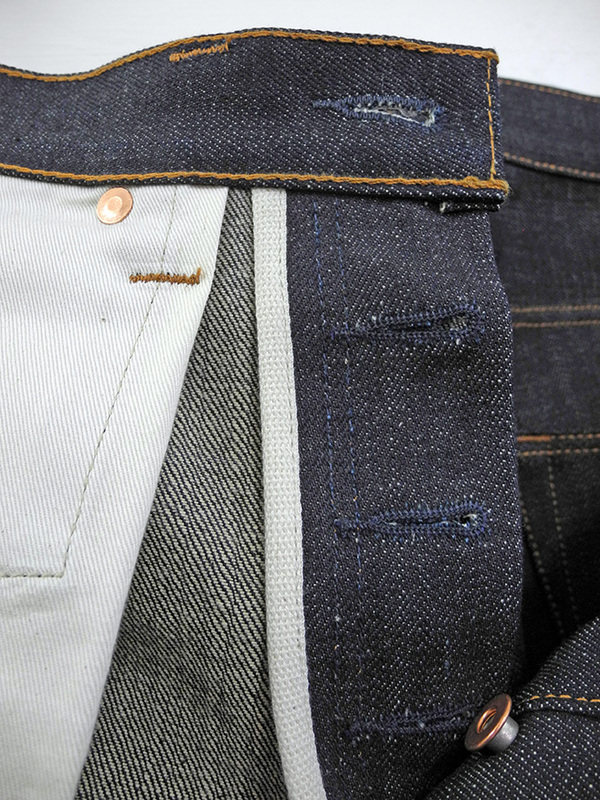 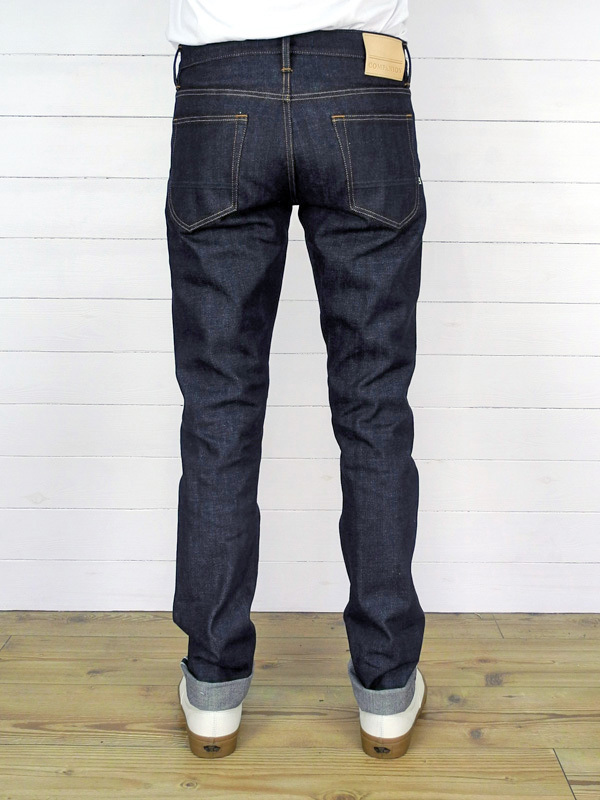 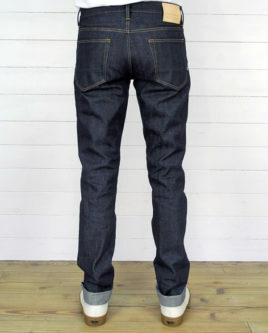 Joel 05K Deep blue with yellow tinted weft selvedge denim, 100% Cotton. 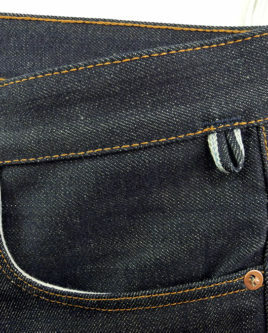 13,3 Oz. 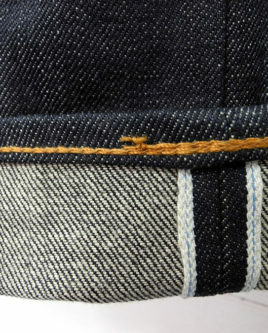 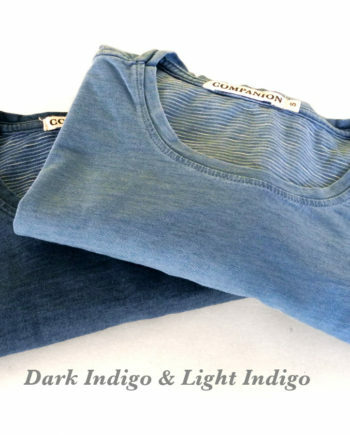 Deep blue with yellow tinted weft selvedge denim, 100% Cotton, sanforized, Japan.
. 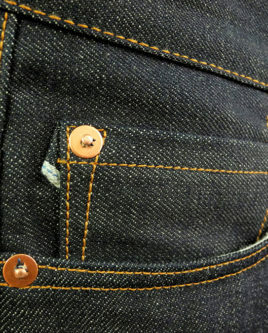 Raw copper donut buttons. 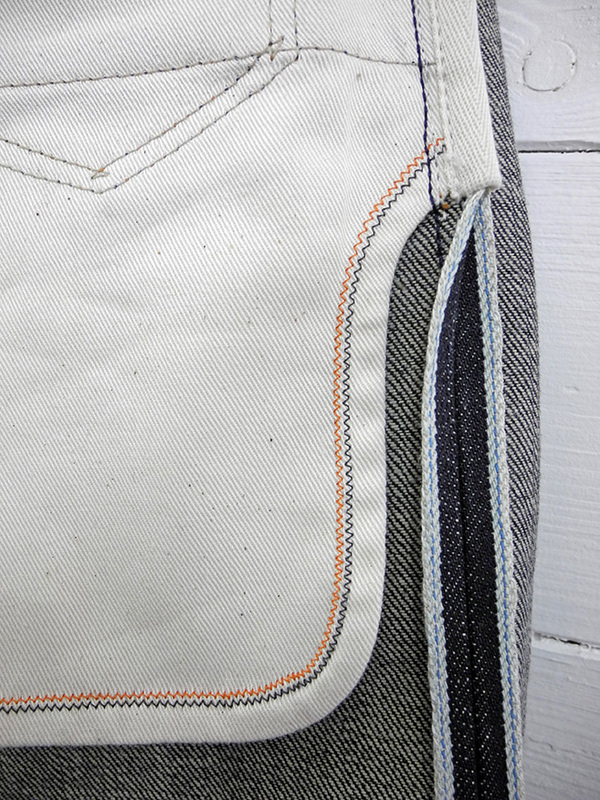 · Binded fly and hips with ecru cotton tape. 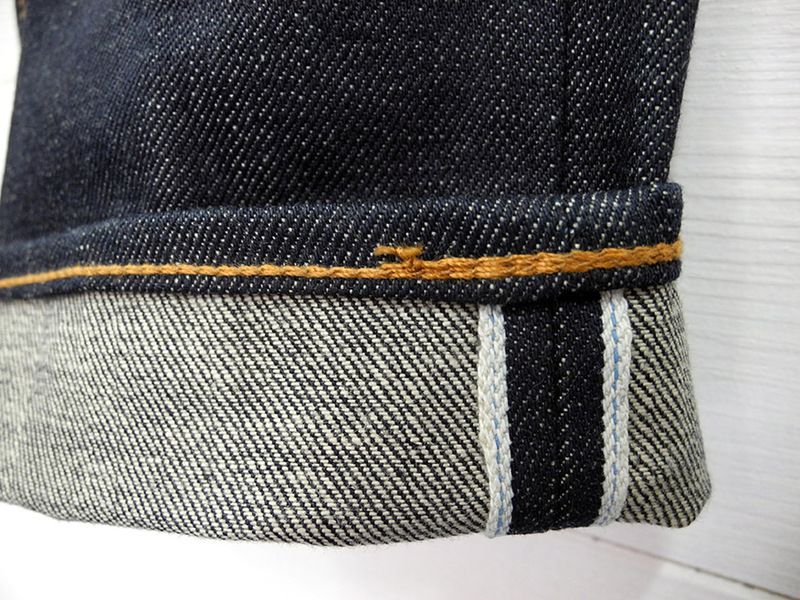 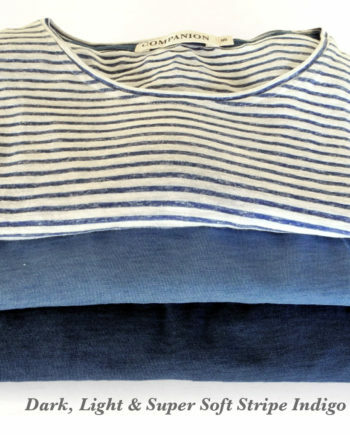 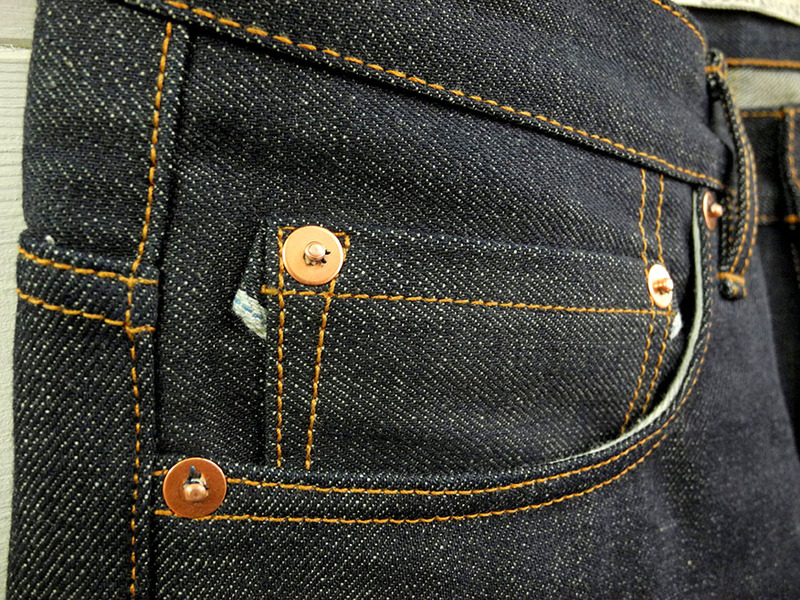 · Hand felled yoke, back rise and inseam. 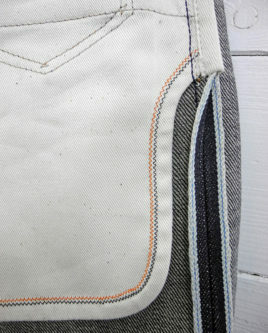 · Raw cotton twill pocket bags. 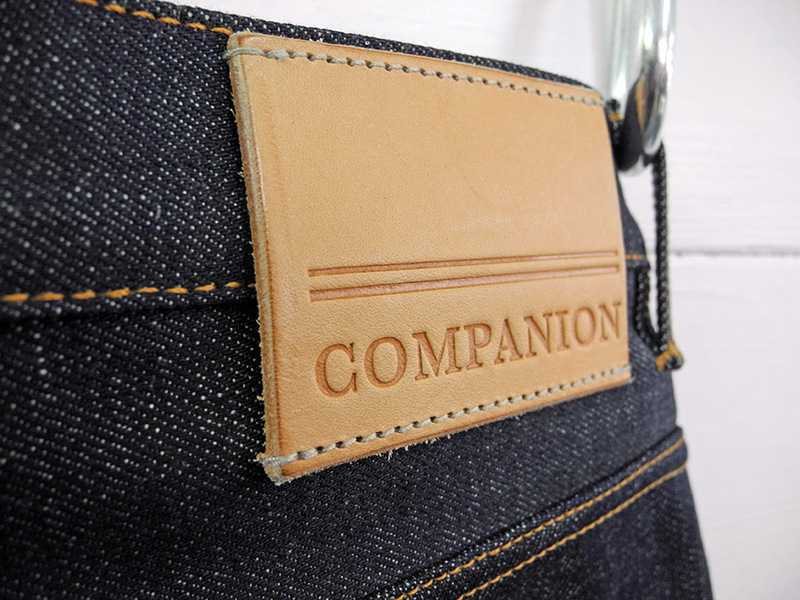 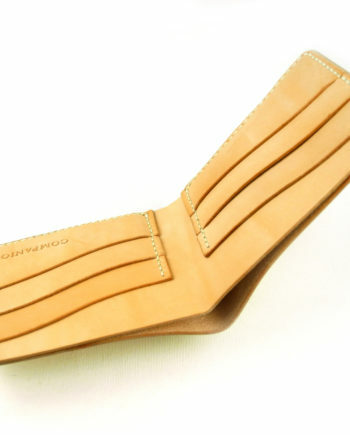 · Branded vegtan leather patch.